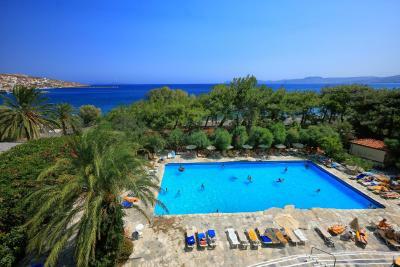 Lock in a great price for Sitia Beach – rated 8.4 by recent guests! The Sitia Beach Resort & Spa supports the 5*****.The staff of the Htl (front desk, restaurant, maids Popi & Rita, everyone very professional and always with a smile. 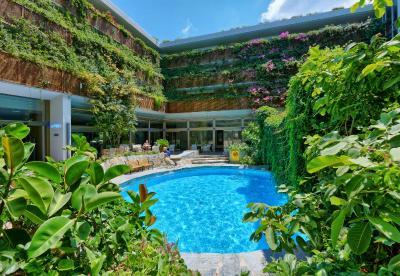 Very spaceful room and clean, nice view garden/pool. I was really impressed of the facilities provided and the small details as welcome cards which really make a difference as entering to your room. 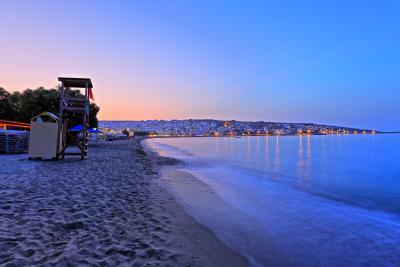 Easy access to the town of sitia, 5' by foot, nice beach approx. 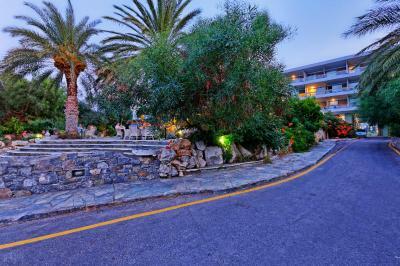 I recommend the Sitia Beach Resort & Spa for travellers who want to spend an excellent holiday & accommodation. The fabulous Greek food the lovely main pool area and the staff. Loved the welcome drink on our arrival. Spacious bedroom. Food absolutely excellent as were the restaurant staff. A credit to the hotel. 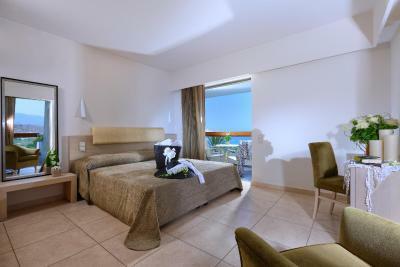 A modern hotel thanks located opposite the good beach and slightly away from the main town but within walking distance and to all of the towns sites. It's also in a quiet location. Friendly and professional service. 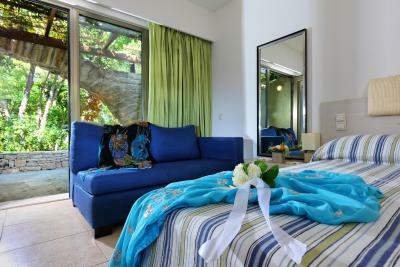 Most rooms have a beach view of a pleasant green garden view. 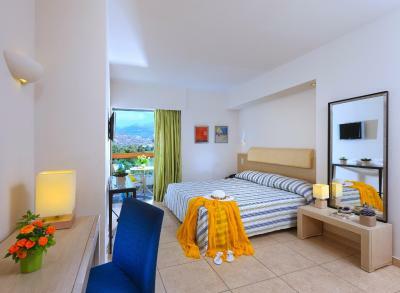 All rooms are clean and modern and have a large balcony. Good sized rooms and bathrooms. 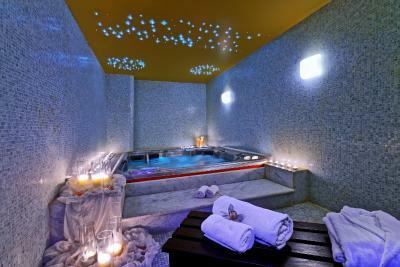 Thehotel has two pools, hydro spa, mini gym and sauna. Great choices for breakfast that can be eaten inside or out. Good value for money and recommended. 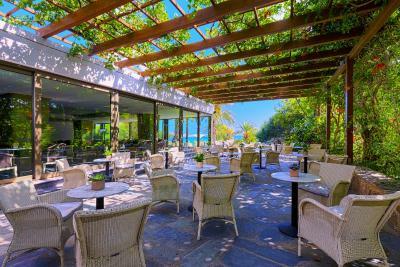 Also beach lounges and umbrellas are Supplied. 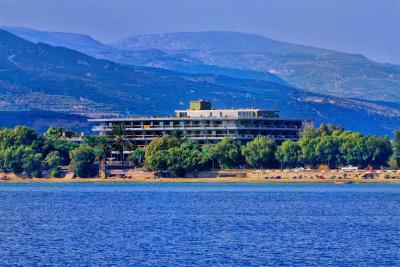 Sitia Beach This rating is a reflection of how the property compares to the industry standard when it comes to price, facilities and services available. It's based on a self-evaluation by the property. Use this rating to help choose your stay! 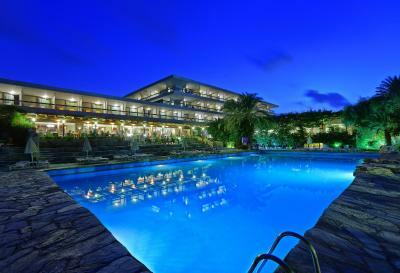 Only 1,000 feet from Sitia center, this 5-star hotel offers 3 pools, a tennis court and a spa, right on a private beach area of Sitia Bay. 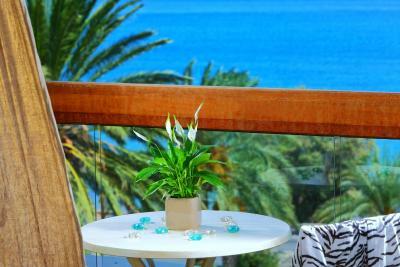 Its rooms enjoy sea, pool or garden views and it offers a poolside snack bar for drinks and light meals. 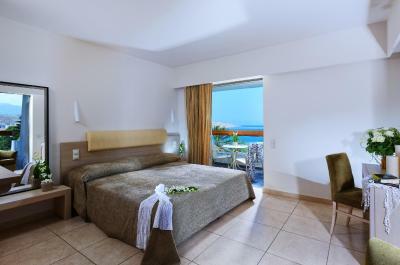 The air-conditioned Sitia Beach rooms and suites have a balcony and a seating area. Facilities include a smart TV and mini fridge. 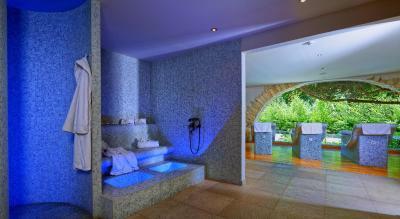 Bathrobes, slippers and toiletries are also provided. 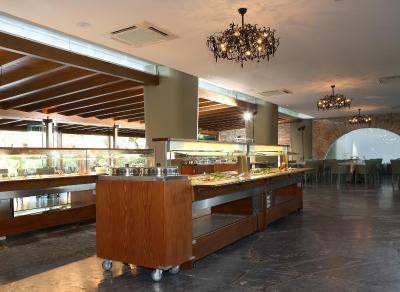 Guests of Sitia Beach hotel can enjoy show cooking at the buffet-style restaurant. 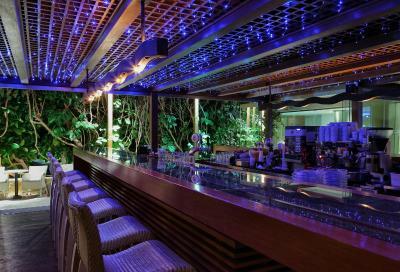 There is also an indoor bar boasting panoramic sea views. 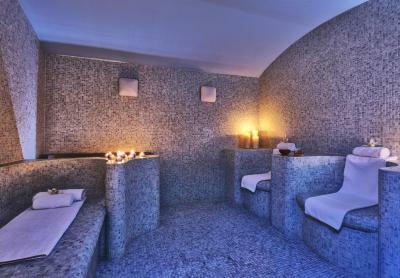 The resort’s spa includes a sauna, a hammam and a hot tub. 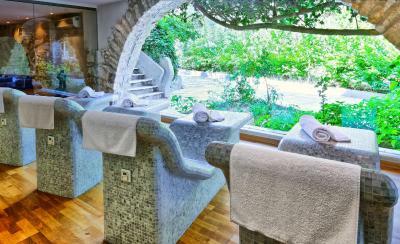 The more active guests can visit the gym, while free towels are offered to those who want to relax on the beach. Sitia Airport is less than 1.2 mi away. 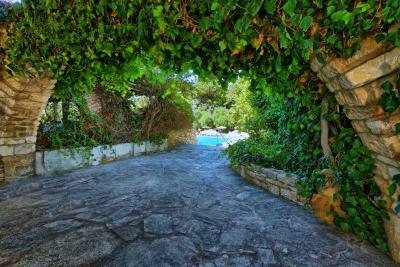 Transportation links to Heraklion and Agios Nikolaos are available within 1,000 feet. Private on-site parking is provided free of charge. 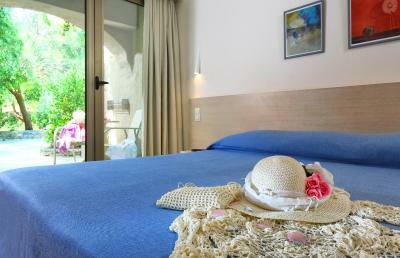 When would you like to stay at Sitia Beach? 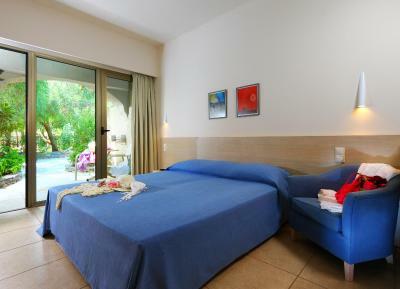 Air-conditioned room with a smart TV, seating area and private balcony. 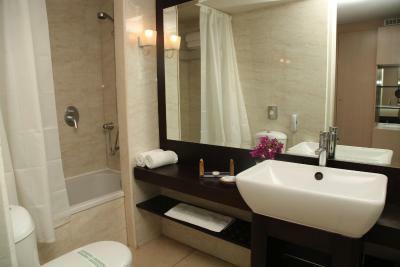 Bathrobes, slippers and toiletries are offered. 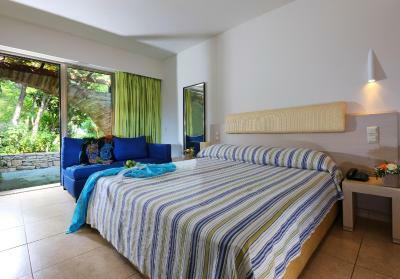 Air-conditioned room with a smart TV, seating area and private sea-view balcony. 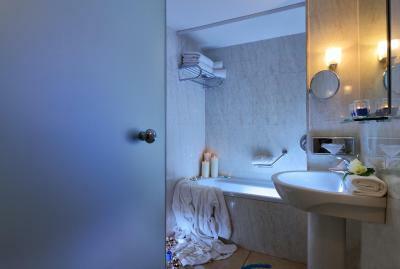 Bathrobes, slippers and toiletries are offered. 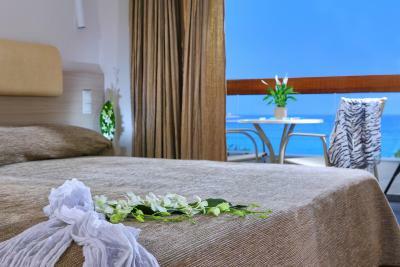 This air-conditioned suite is spacious and has a smart TV, seating area and private sea-view balcony. 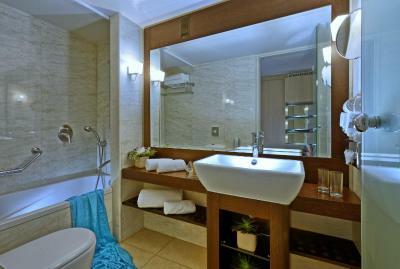 Bathrobes, slippers and toiletries are offered. 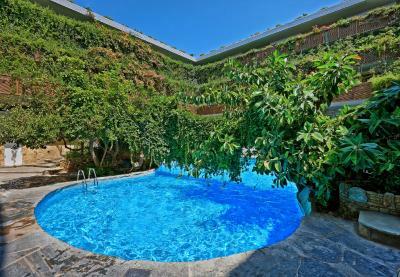 Located near the pool surrounded by garden. Offers 2 single beds on the ground floor. Stairs lead to the upper floor that features a bedroom with a double bed and sofa bed. A smart TV is provided. 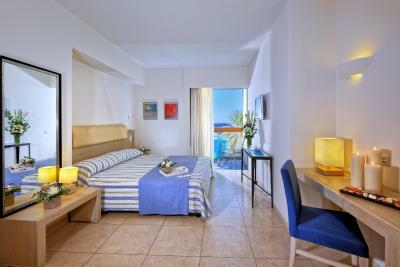 This spacious, air-conditioned suite has a smart TV, seating area and private sea-view balcony. 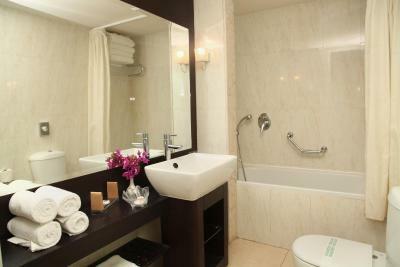 Bathrobes, slippers and toiletries are offered. 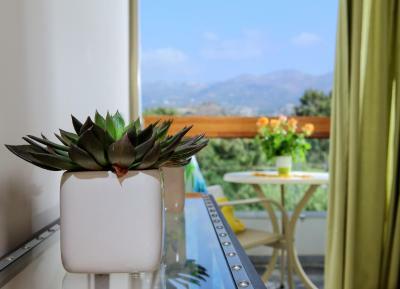 This suite features a balcony, soundproofing and air conditioning. A smart TV is provided. 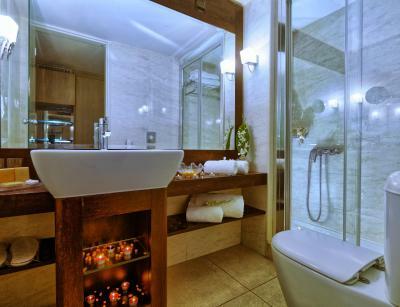 This suite features a balcony, electric kettle and bathrobe. A smart TV is provided. 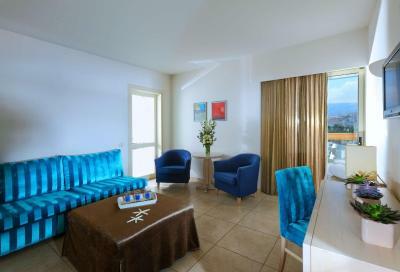 This suite features a balcony, tile/marble floor and smart TV. This suite has a balcony, tile/marble floor and soundproofing. A smart TV is provided. Our hotel has a very stylish & modern architecture. You can enjoy your walks on the beach promenade. From nearly everywhere you have a fantastic view to Sitia City. 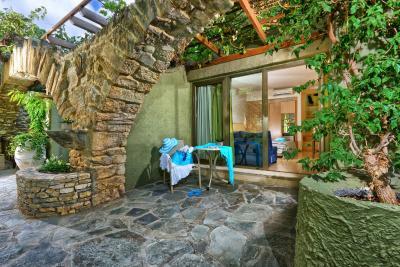 House Rules Sitia Beach takes special requests – add in the next step! Sitia Beach accepts these cards and reserves the right to temporarily hold an amount prior to arrival. The awful noise from the school trip which the staff did their best to resolve but just couldn’t stop till 3am and the toiletries being in pump dispensers. Anonymous, boring design. Do not understand, where they got their stars from. the breakfast was not very good, maybe because it's off season! Bathroom very small. Hardly any room to dry after a shower. We booked all inclusive. It was far from what we are used to. Arrived after lunch. No where to get a snack so forced to find local place after a four and half hour road trip. The all inclusive drinks were not good at all! Wine almost undrinkable. Cocktails were cheap premixed bottles, overall cheap and watery. We ended up buying proper alcohol at the bar. It would have been better to advertise full board but pay for drinks at the bar and charge slightly less. There were no problems whatsoever. The car park, though, is perhaps a little crowded at times. I have every confidence that the hotel staff would attend immediately to any issues raised at the reception. 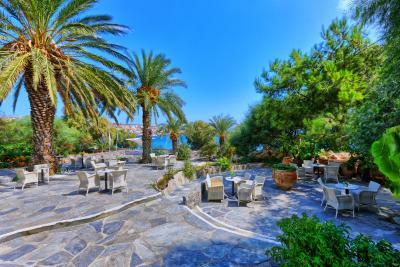 This was our second visit to this hotel in Sitia. We would rarely revisit a place without good reason and there are plenty of such reasons to rediscover Sitia in Eastern Crete and its surroundings. The town is rather more Greek than cosmopolitan although on both our visits, there were a reasonable number of foreign tourists to be found. 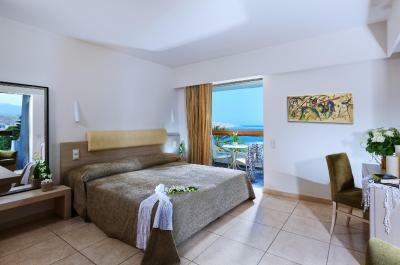 The hotel is well placed just on the edge of the town right opposite the extensive beach, most of which is blue-flag rated. Access is reasonable from Heraklion airport, about 80 miles away. 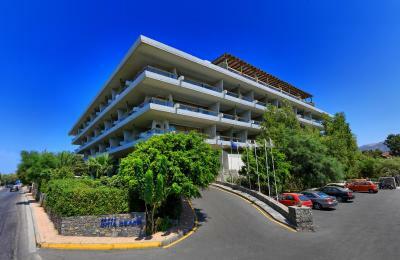 Parking is behind the hotel and can be a little crowded depending on the day and number of guests. Plenty of other parking can be found just outside the hotel complex. 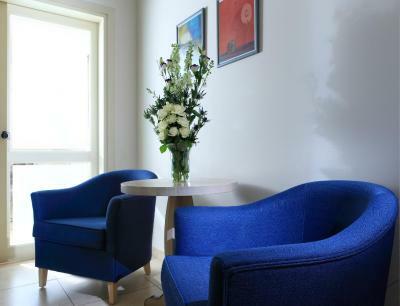 We like the hotel as the staff are superb, friendly and relaxed, helpful, nothing is too much trouble and the rooms are attractive and quite spacious. The restaurant is part indoors and part on the edge of the large main swimming pool. 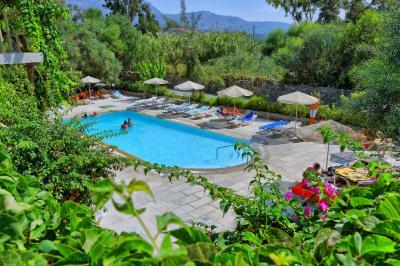 The breakfast and supper buffets are very good and the hotel regularly provides special evening themes, such as Cretan or Far Eastern. Prices of drinks are very reasonable considering the class of this hotel. 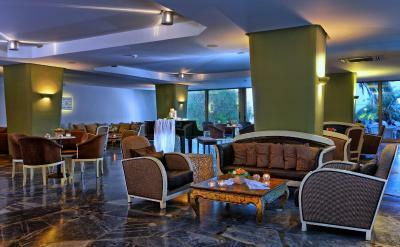 There is regular entertainment in the large lounge area. 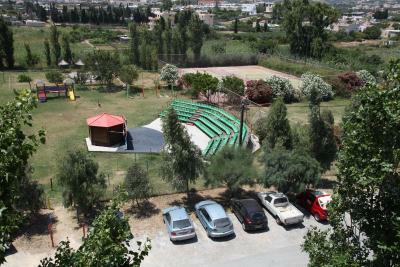 Alternatively one can stroll into the town and enjoy the Greek 'buzz' especially on Friday and Saturday evenings. Our room faced the hills and we could also see the sea as well as the sunrise and sunsets with a large balcony to view them from. Everything is so clean and carefully maintained. The team of cleaners is very large and the management clearly take a pride in the cleanliness of the hotel and its complex. The welcome at reception is warm and informal. In general information could have been better - for example we saw people round pool with yellow towels but no idea where they got them from. Also you just get a tiny white piece of paper with a few basic things. You would expect a proper welcome pack in your room for a 5 star hotel. Also cleaning of room times erratic - if you don't get up early when they do the first round they don't clean til much later. Ali there was no shampoo provided. There was a tray where it looked like they went but just a shower hat in that tray and cotton wool pad and never anything else. There was hardly anywhere to put your clothes so most had to be left in suitcases. There were only 7 hangers in the wardrobe and absolutely no draw space. Breakfast was ok but there weren't enough cups for tea and coffee so we had to wait around for some more to appear from the kitchen. To say there are toiletries in the room is a bit of a stretch - it had a squidgy soap dispenser on the wall with a soap liquid that was for everything. 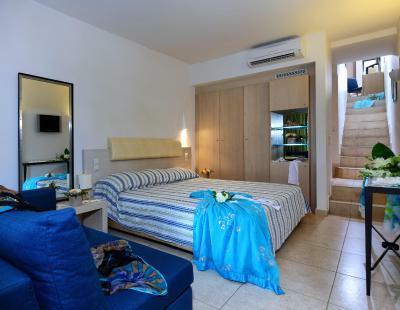 Good sized room and balcony with view of the sea. Easy walk into the center of town and to the beach. Swimming pools were a good size and sun beds were easily available.